Asian promotion “ONE Championship” returned to Philippines last night (Apr. 12) with the event billed as “Roots of Honor”. Taking place at the Mall of Asia Arena in Manila the fight card featured a series of MMA, kickboxing and Muay Thai bouts. Martin Nguyen headlined the fight-bill in defense of his ONE Featherweight title against former champion Narantungalag Jadambaa. The scheduled for five rounds championship bout ended prior the final bell. The champion retained his belt scoring a knockout in the second round. “Nguyen and Jadambaa exchanged thunderous strikes in the opening round, both looking to end the night early,” reads the event recap sent out by the promotion. “In the second round, Nguyen punished Jadambaa with powerful kicks to the leg before unleashing a perfectly-placed flying knee to take the Mongolian star out and remain the featherweight division’s king”. In the co-main event Joshua Pacio regained ONE Strawweight belt when he stopped Yosuke Saruta in Round 4. In addition he avenged a defeat suffered early this year. Also on the night Tatsumitsu Wada earned a unanimous decision against Gustavo Balart and advanced to the semi-final of ONE Flyweight World Grand Prix. He is scheduled to face Demetrious Johnson at the future event. The complete fight results from ONE: Roots of Honor can be found below. 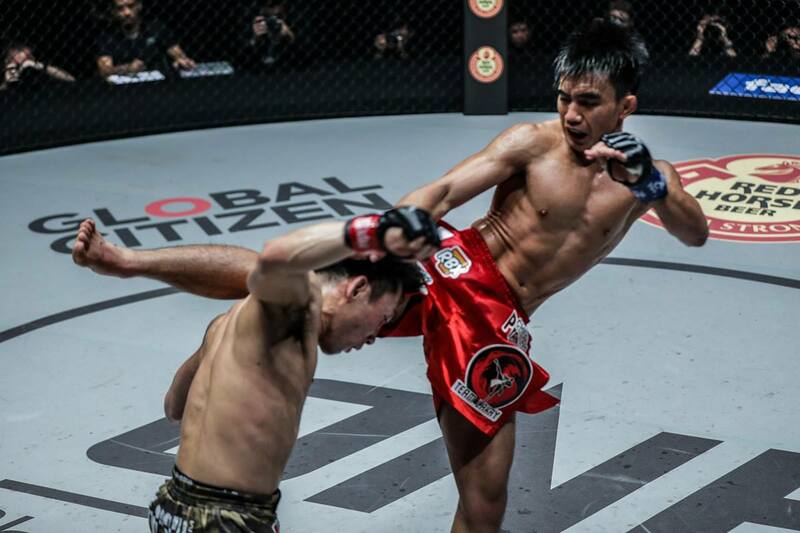 The post Martin Nguyen KO’s Narantungalag Jadambaa to retain ONE Featherweight title appeared first on FIGHTMAG.